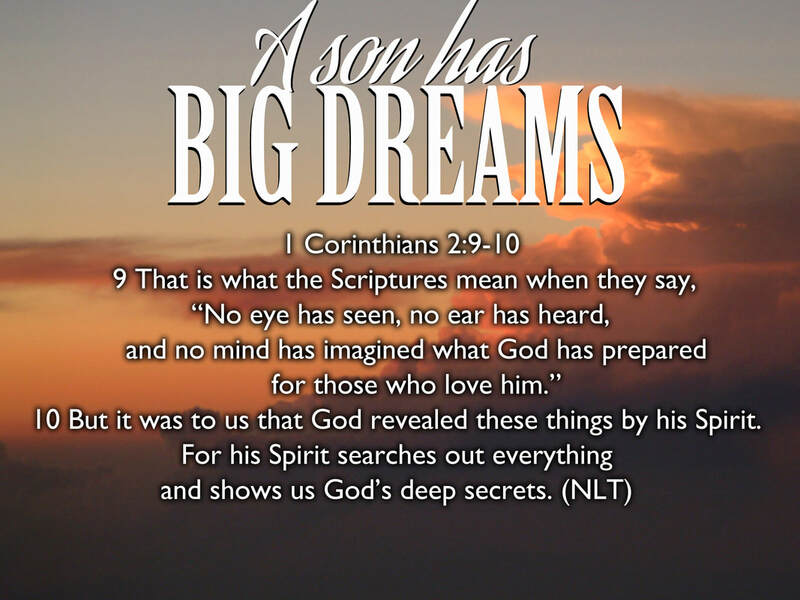 My prayer today is that we would all be able to dream big again. For many of us, previous failures and disappointments might colour our vision for the future. If there are any hurts that are preventing you from dreaming again, may the love of our Papa heal every memory or experience that might hinder you.Since the Kingdom belongs to little kids (Luke 18:15-17), may we all be happy to humble ourselves and become like little children again (Matthew 18:1-4). I believe that it is in the process of us learning to be small in our hearts that we will be restored to the beauty of childlike wonder and imagination that will enable us to dream impossible dreams.